How Do I Remove Water Stains From the Chrome Faucets in My Bathroom? 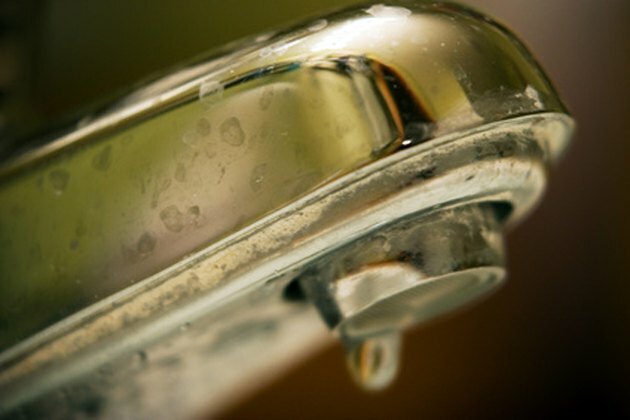 Water stains on chrome faucets are caused by the natural abundance of minerals present in hard water. These minerals consist of calcium, magnesium, and iron, and can attach themselves to surfaces, such as chrome faucets. Iron particles can form rust-colored stains on faucets, while calcium and magnesium particles usually form white, crusty residue on surfaces. If these water stains are not removed, they can permanently stain the chrome faucet. 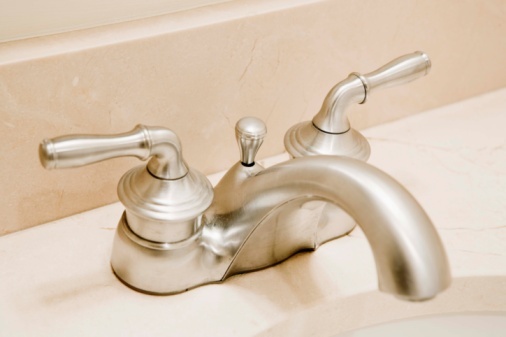 Water stains can be removed from chrome faucets by cleaning them with simple household materials. Remove water stains immediately from chrome faucets to prevent permanent staining. Combine together equal amounts of white vinegar and water in a bowl. White vinegar contains high levels of acidity, which is effective at removing stains on most surfaces. Soak a thick paper towel in the vinegar and water solution. Gently wrap the paper towel around the chrome faucet and leave it on for several minutes to dissolve the stains. Unwrap the paper towel from the faucet, and rinse the faucet thoroughly with water. Dry off the chrome faucet with a soft cloth. Remove any lime scale stains caused by hard water minerals by cleaning the chrome faucet with a sequestrate cleaning product according to the manufacturer's directions. Sequestrate cleaning products bind with the minerals causing the stains, preventing the minerals from forming further stains. Try a strong acid cleaner with diluted hydrochloric acid as an ingredient to remove the water stains on the faucet, if nothing else works. Apply the acid cleaner by following all the directions provided by the manufacturer, and do not mix it with any other cleaning product.